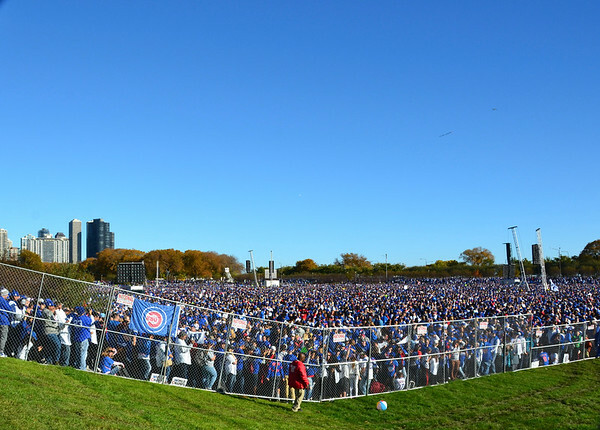 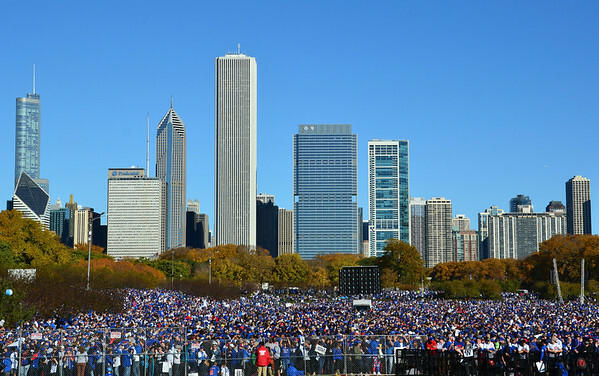 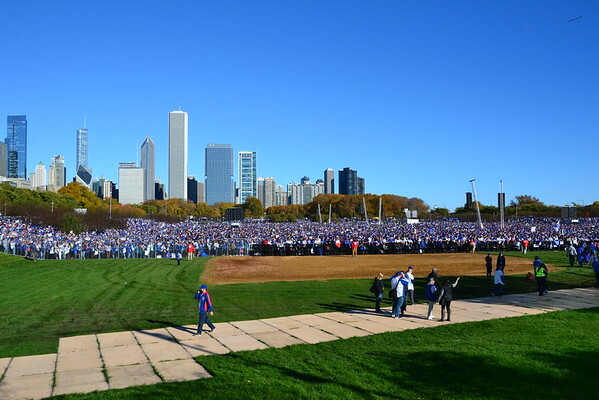 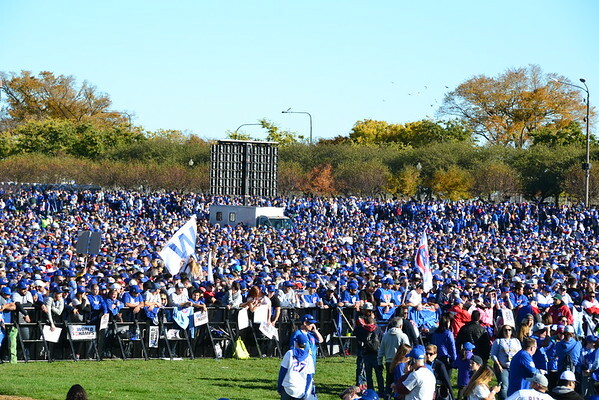 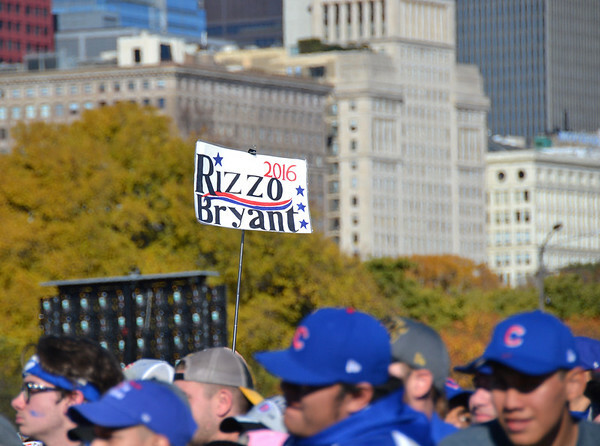 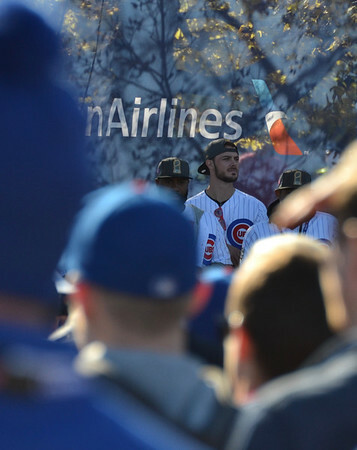 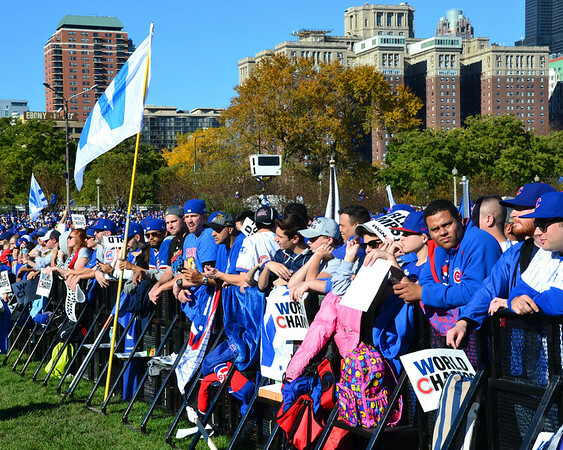 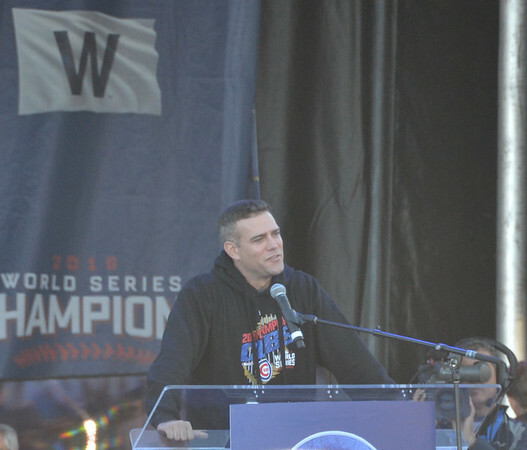 It was estimated that over 5 million people attended the parade and rally that kicked off at Wrigley Field and made its way to Hutchinson Field in Grant Park. 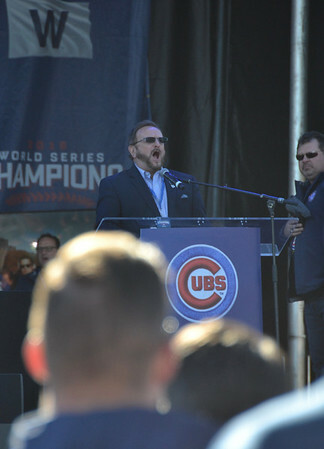 Wayne Messmer welcomes the crowd and sings the national anthem. 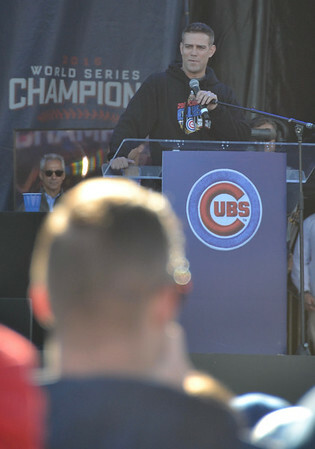 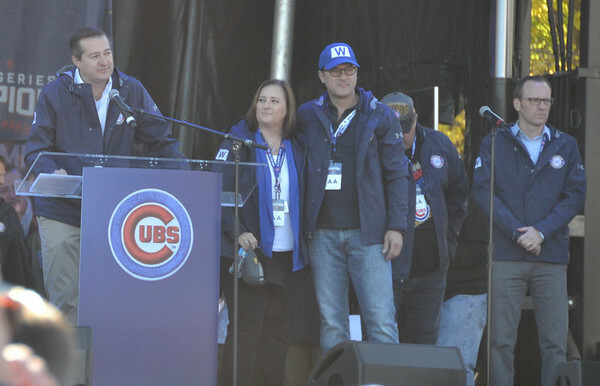 Cubs owner Tom Ricketts welcomes the crowd. 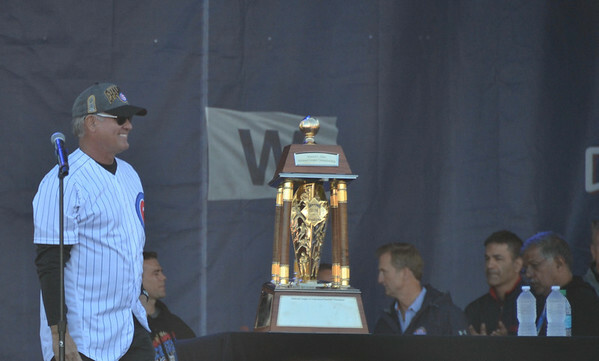 The greatest second baseman in the history of baseball...Ryne Sandberg. 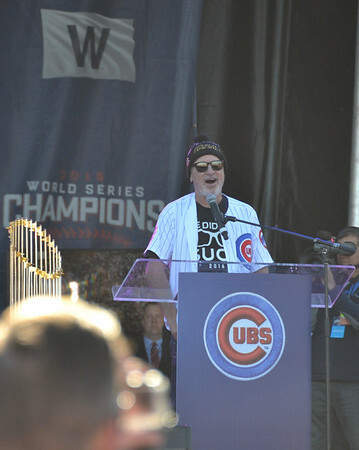 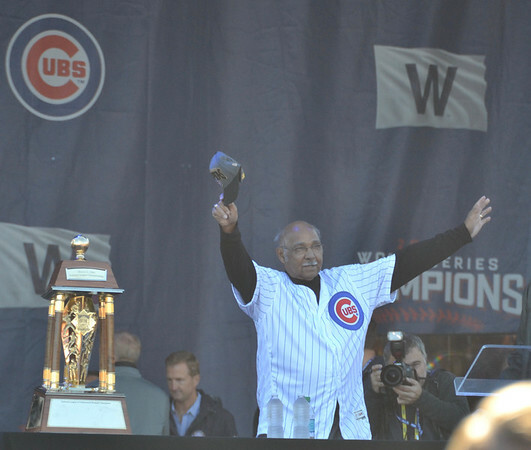 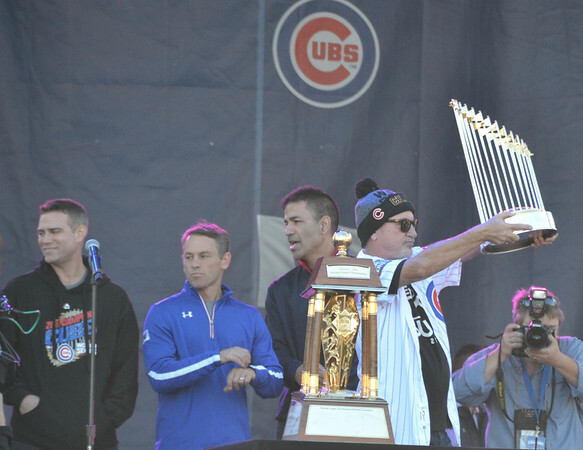 Cubs manager Joe Madden with the World Series trophy.